Men of 42 Commando Royal Marines construct defensive positions in Kuwait in expectation of a possible Iraqi attack. Various items showing people and places in the life of an Agricultural Officer in Northern Rhodesia. The life of the Hong Kong fishing families, and how they have benefited from the establishment of the Fish Marketing Board, assuring fair prices and enabling them to organise their work better. I. Anti-submarine helicopters , operating from frigate, are seen in action: mortars and torpedoes are used. DOCUMENTARY. Tanganyika on the eve of independence. An interview with Julius Nyerere. Queen Elizabeth Park - river trip, animals, birds, performence of local tribal dance. Livingstone. Victoria Falls. An African sunset taken from the air. This film includes footage of Kuta Belud airstrip, Kinabulu Mountain, extensive manoeuvres of the Royal Marines in Sabah, and scenes of local people. 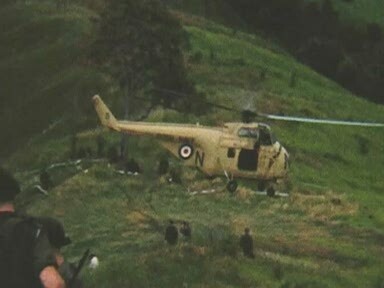 Some film is shot from a helicopter. This film shows European families emjoying a day out at a regatta at Jesselton on the west coast of British North Borneo, now Sabah. It includes shots of picnics, swimming and sailing races. Wildlife. On the dam at Kabianga. Maize plants. River floods. Travelling on the back road. Kenya High school , Nairobi. Tea pickers. Kabiana agricultural centre. Crops.